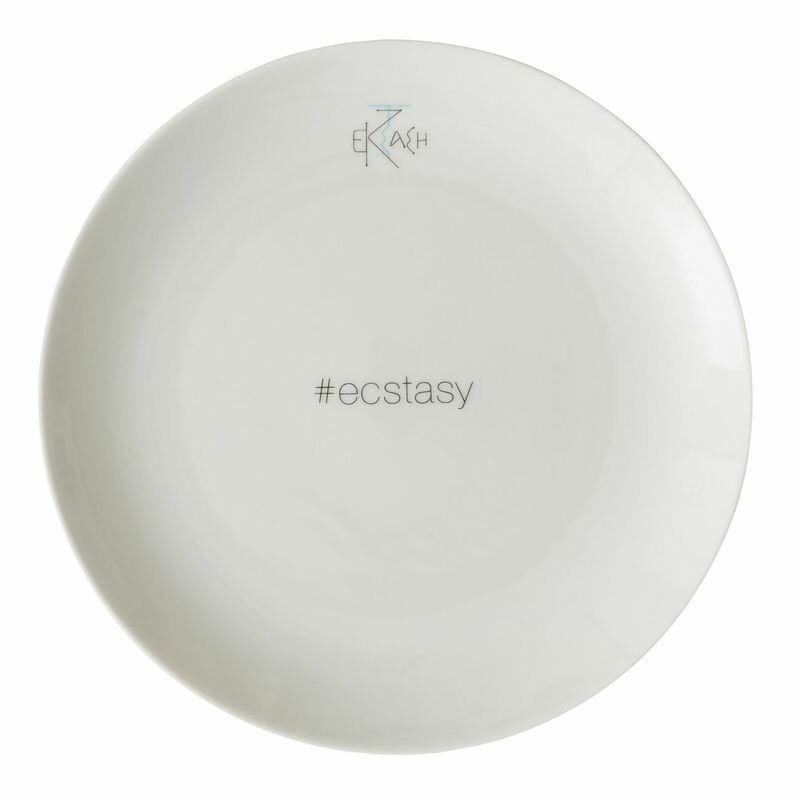 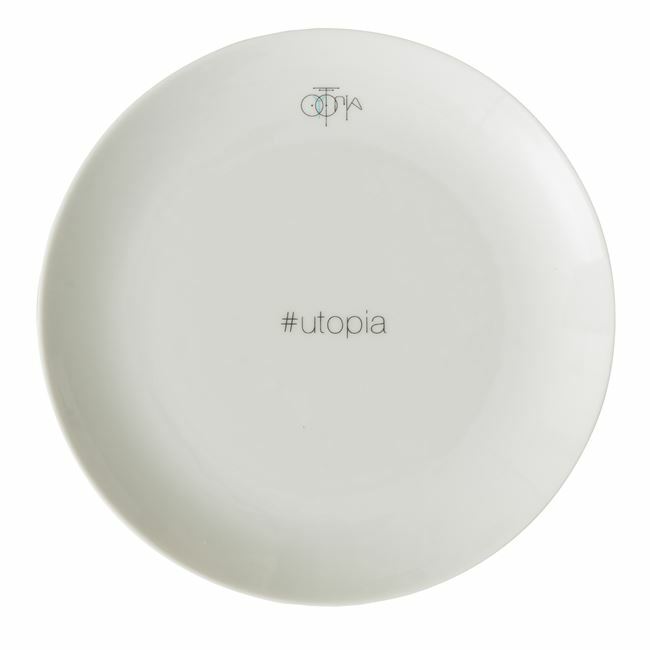 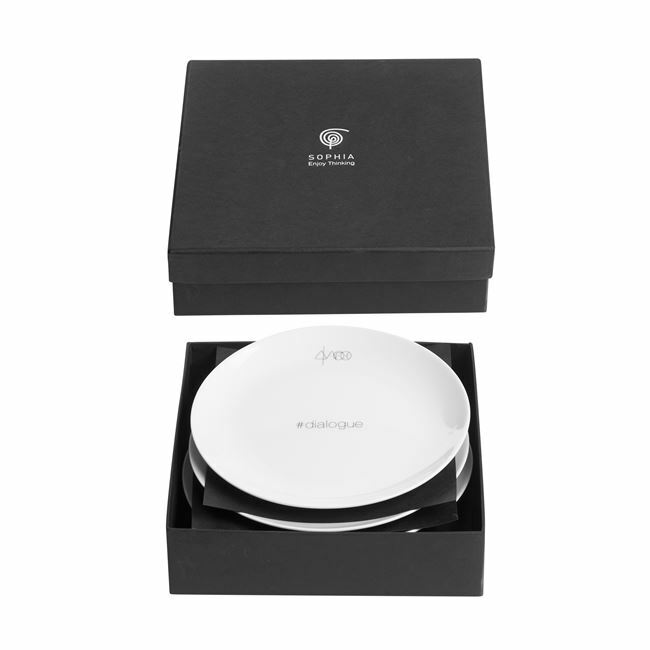 Philosophia’s porcelain dessert plates are not only practical and easily mixed with other tableware, but also fun to use: much like a hidden treasure, the Greek word at their center will be revealed only after their contents have been consumed. 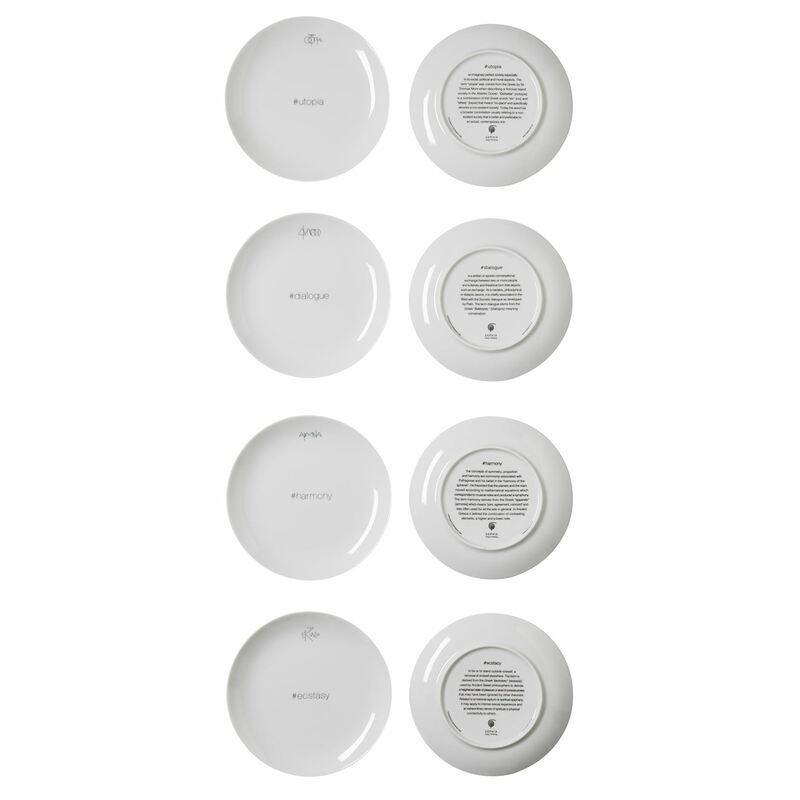 Whatever you serve –savory finger food or petits gateaux? in the end, everybody wins.